Today has been a chilly day. It is spring break for Monkey Girl. She is all snuggled with me on the couch with a blanket. It is these days, that just being with my family makes me the happiest. I should be doing that load of laundry, but not right now. Soon, my one and only daughter will be sitting on the couch, enjoying a warm comforting bowl of Chicken and Dumplings with me. 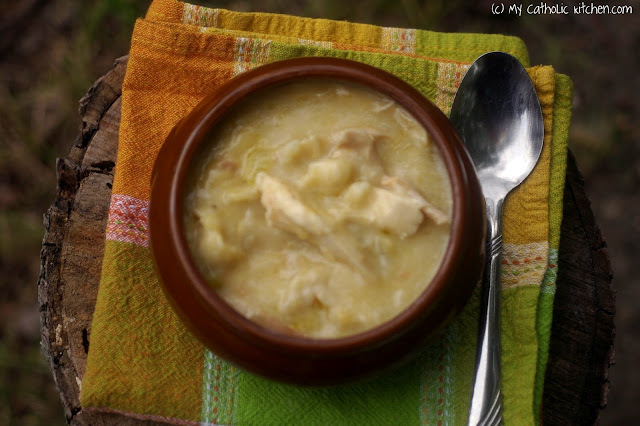 Place the chicken, onion, bay leaves, and bouillon, in a large pot. Add 4 quarts of water, simmer over medium heat. Simmer the chicken until it is tender and the thigh juices run clear, about 40 minutes. Add the cream of chicken soup to the pot with the chicken and simmer gently over medium-low heat. To prepare the dumplings: Mix the flour with the salt and mound together in a mixing bowl. Beginning at the center of the mound, drizzle a small amount of ice water over the flour. Using your fingers, and moving from the center to the sides of the bowl, gradually incorporate about 3/4 cup of ice water. Knead the dough and form it into ball. Dust a good amount of flour onto a clean work surface. Roll out the dough (it will be firm), working from center to 1/8-inch thick. Let the dough relax for several minutes. Cut the dough into 1-inch pieces. Pull a piece in half and drop the halves into the simmering soup. Repeat. Do not stir the chicken once the dumplings have been added. Gently move the pot in a circular motion so the dumplings become submerged and cook evenly. Cook until the dumplings float and are no longer doughy, 3 to 4 minutes. Oh my, this looks amazing. I just want to take that spoon and dig in. Those look so good. They are quite different the dumplings I make, but yum! This looks delicious! Love dumplings! A very new style of dumplings. I love to try them. They are surely light and healthy. Can life get any better, indeed? Great post and enjoy the rest of Spring Break together! Looks awesome perfect for a chilly day! 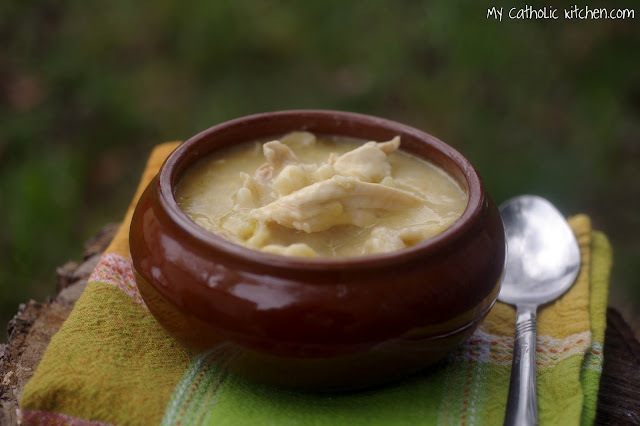 Love chicken and dumplings! It’s cold and chilly here too! Where is spring? 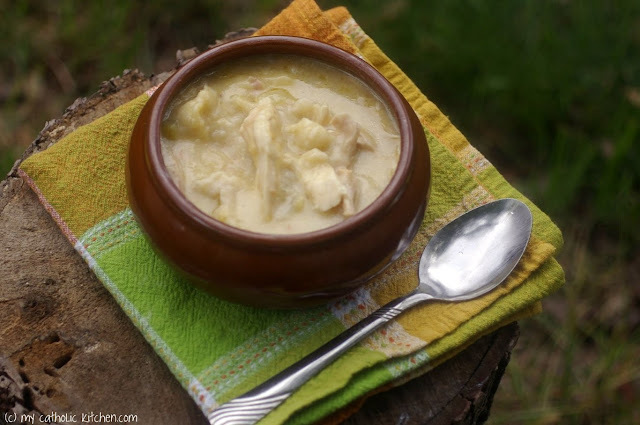 Chicken and dumplings are my favorite “feel good” meal and I haven’t quite found a recipe that calls to me until this one! I can wait to try it.